When the sun sets on the day of the 12th lunar month, many Thai people gather around lakes, rivers and canals to celebrate the annual Loy Krathong. It is one of the most scenic festivals to watch out for on the Thai calendar. This year’s tentative date for Loy Krathong is November 13. Before you make any plans for Loy Krathong, please wait for the official confirmation by the Thailand Tourist Authority. “Loy” means to float. The word “krathong”, however, has no exact translation in English and can refer to a small boat or simply a container. There are rumors about the origin of Loy Krathong, one of which involves Nang Nopphamat, a woman living in 13th century Sukhothai. She was allegedly the first person to release a krathong onto water. But she may just be a fictional character from a novel dating from the 19th century. 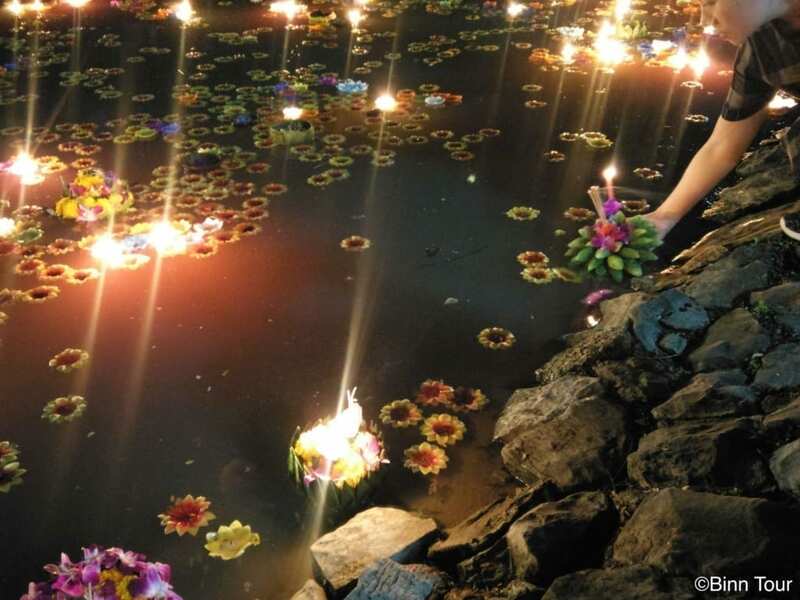 It seems more plausible that Loy Krathong evolved from an ancient ritual which would explain why there are similar festivities in other parts of Southeast Asia. The festival aims to pay respect to the water goddess Phra Mae Khongkha following the main harvest of the year. It is a way to show thankfulness for an abundant food supply. Moreover, Loy Krathong has a Buddhist aspect. Many Thai people see the release of the krathong as an act of letting go of one’s negative feelings and thoughts. Similarities with Songkran in which water plays a symbolic role of purification come to mind. In the traditional rite, people create small baskets usually in the shape of a lotus with intricately folded banana leaves. These vessels sit on top of a slice of a banana tree trunk and are often embellished with flowers, candles and incense sticks. In addition, they may hold special items as an offering to the water spirits. 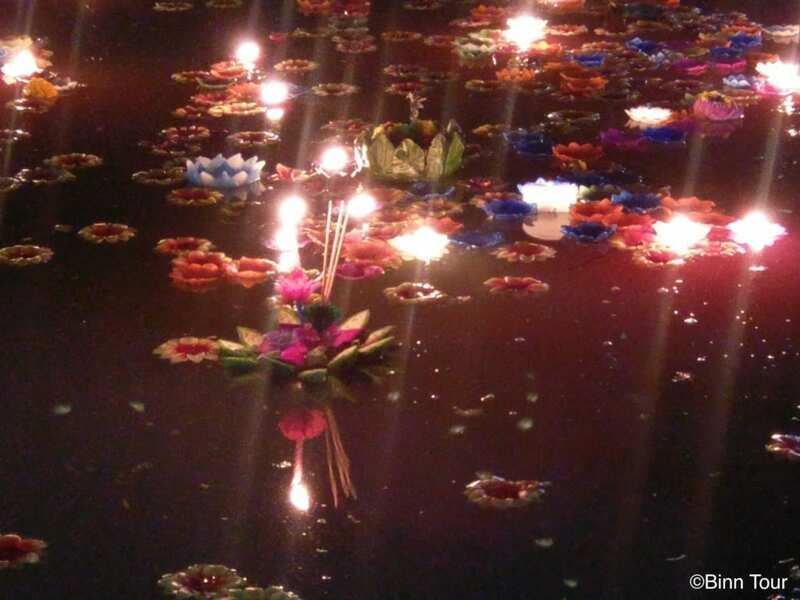 The krathongs are then released on a river, lake or canal (khlong). Contests for the most elaborate krathong typically accompany the ceremony. As people pose their krathong on the water, they often make a wish. 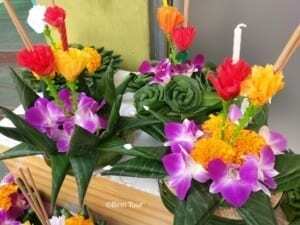 Many believe that a good year lies ahead if their krathong stays alight until it disappears out of sight. Instead of making your own krathong, you can easily find ready-made rafts for sale in the days leading up to the celebration. Sky lanterns (khom loy), which are often associated with Loy Krathong, are in fact a recent addition to the traditional rite. They are part of Yee Peng, a Lanna festival in the northern region of Thailand, which coincides with Loy Krathong. The khom loy generally consists of rice paper on a bamboo support. It is released into the sky to mark special occasions. However, the sky lanterns can be dangerous for nearby buildings and even airplanes. They are subject to a ban in Bangkok since 2015. Hence, in order to experience the magical spectacle of thousands of lanterns floating in the air, you should head to Chiang Mai. In the ancient capital of the former Lanna kingdom, people celebrate Loy Krathong along with Yee Peng. Considered to be the starting point of Loy Krathong in Thailand, Sukhothai is the traditional go-to place for this festival and regularly holds large events. Chiang Mai is closely behind and famous for the awe inspiring release of sky lanterns. In Bangkok, the main scene of Loy Krathong centers on the Chao Phraya River. Head to any dock and you will likely see people posing their krathong. The most popular place in recent years has been the waterfront at Asiatique. However, the ICONSIAM which opened in November 2018 will likely draw big crowds to its riverfront this year. Keep in mind that there will be long lines for boat shuttles on the Chao Phraya River during Loy Krathong. Those who wish to avoid large gatherings may opt for exclusive riverside hotels such as the Mandarin Oriental. 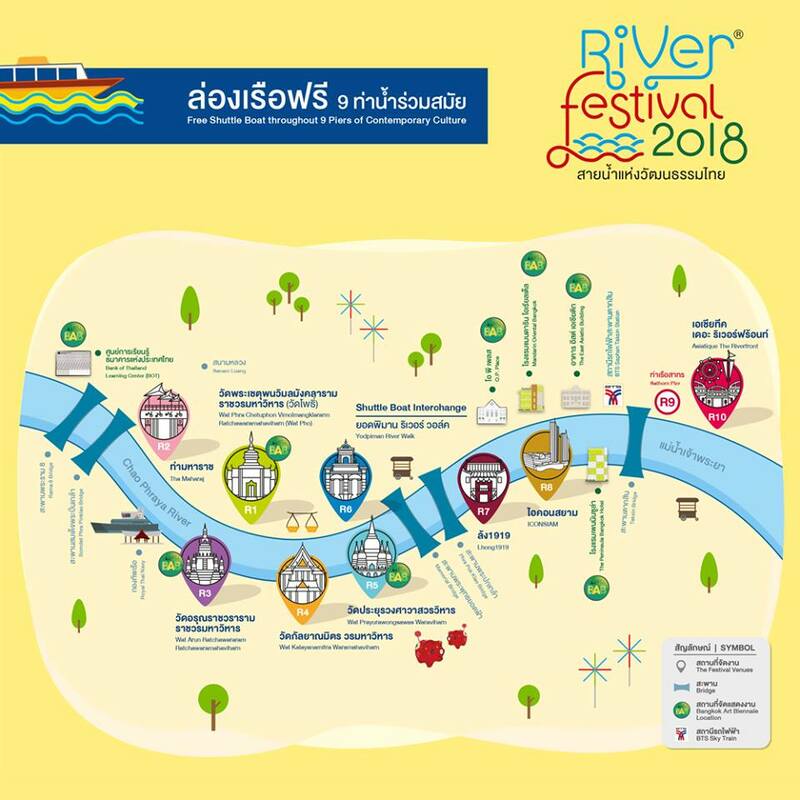 Away from the river, you can also observe the festivities in numerous parks including Lumpini, Chatuchak and Benchasiri Park.